Here in the United States, August means back-to-school shopping and the winding down of summer. 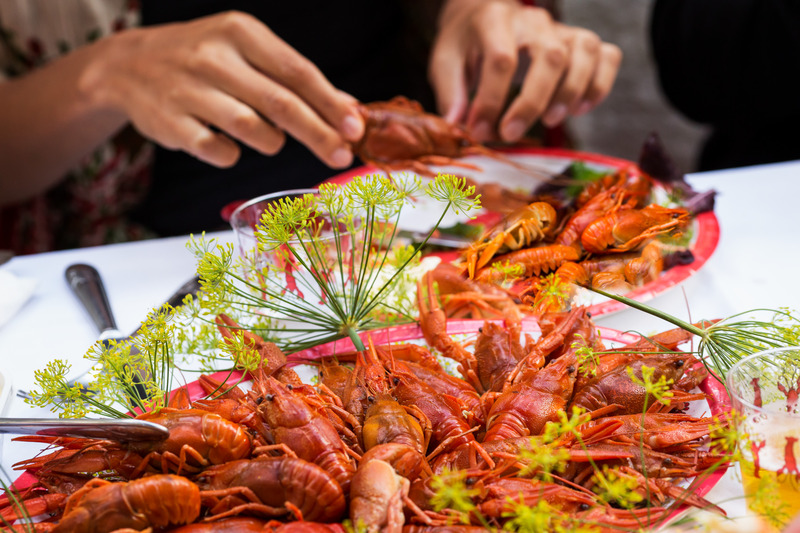 In Sweden, however, August means crayfish season and even more important, crayfish parties. 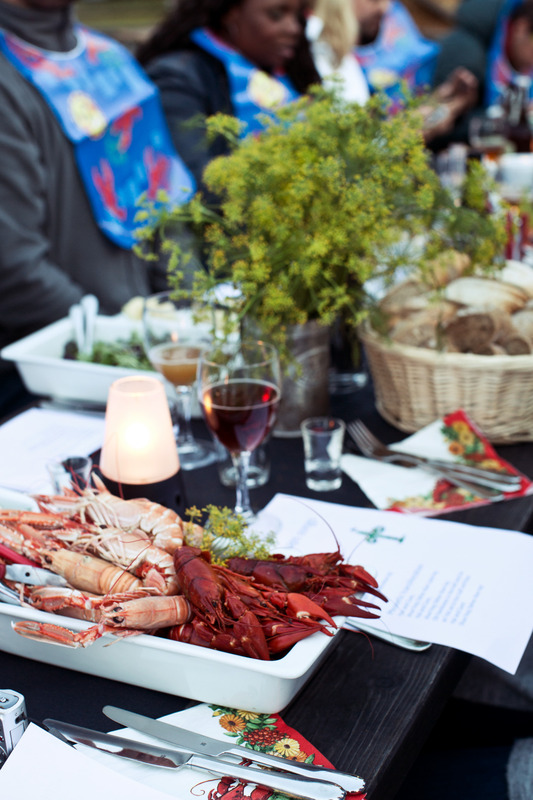 Crayfish parties, or kräftskiva, date to the beginning of the 1900s when the Swedes had overconsumed crayfish. The government introduced fishing restrictions to limit the crayfish season to August and beyond. What began as an upper-class celebration turned into a national excuse for singing, drinking and gathering with friends and family. 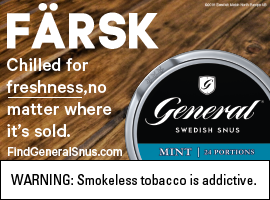 Many Swedish-American communities host their own kräftskiva, and if you can’t make it out to one, consider throwing your own. You can buy the cardboard hats here, and we’ve pulled together some recipes below. 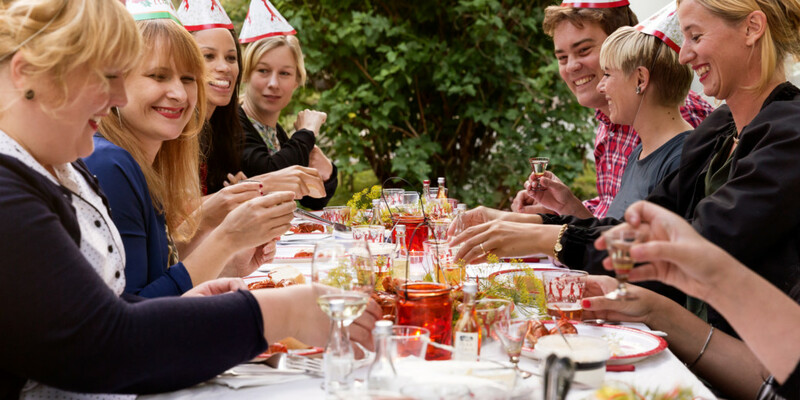 Another pro tip: Make sure you provide your guests with nutcrackers to help retrieve the meat from the shellfish! For even more kräftskiva fun, watch this clip from The Tonight Show with Jimmy Fallon to hear Swedish actress Alicia Vikander’s fond memories of crayfish celebrations and a performance of how to properly enjoy the schnapps. Bonus points if you learn the “little frog” song and dance!